The Coasters are delighted to finally confirm the details of the one-off, special edition Adidas shirt made for the Buildbase FA Trophy Final. 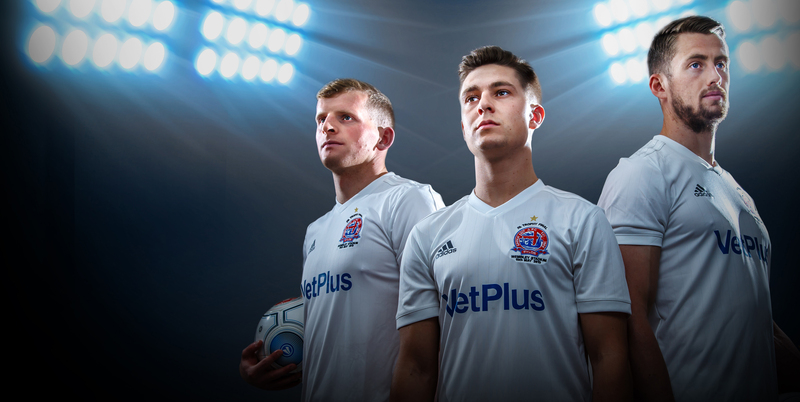 Available for just £25 for adults and £20 for juniors, the shirts will be available from Wednesday in the AFC Fylde club shop at Mill Farm, and in the new pop-up shop in Lytham. The final represents the chance for AFC Fylde to become the first team win both the FA Vase and the FA Trophy, and the occasion certainly promises to be a spectacular one. The shirts will boast Climalite technology, an innovative fabric that wicks sweat away from the body, perfect for a hot afternoon in May. When can I get mine? If you are looking to buy separately either instore or online, you can do so from Wednesday 17th April. For those that have pre-ordered your shirts in your Wembley packages, you will be able to collect yours from 29th April at your specified collection point. This date is slightly later, as the full packages have to be put together ready for collection, as we’re sure fans will understand with an operation of this scale. 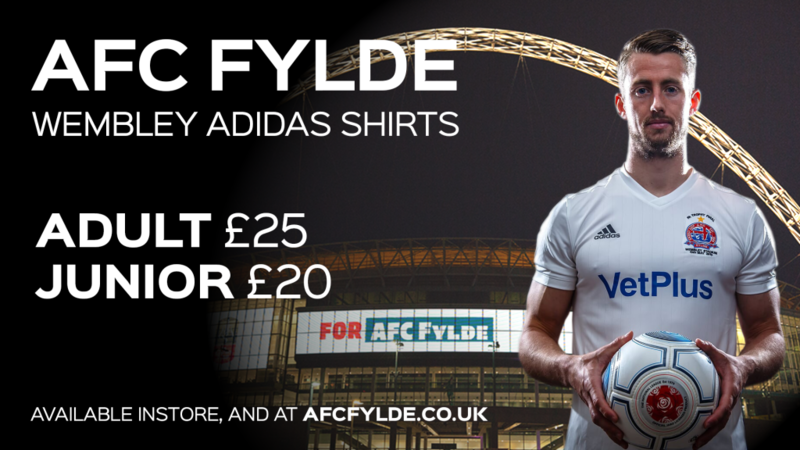 For any questions, please get in touch with us on 01772 682593 or email us on info@afcfylde.co.uk. ◂ FAQs | Helpful answers for those heading to Wembley!